It is now the 3rd edition of Kochi-Muziris Biennale (KMB), inagurated by eminent Indian artist Sudarshan Shetty, and it is the largest event of its kind in South Asia. 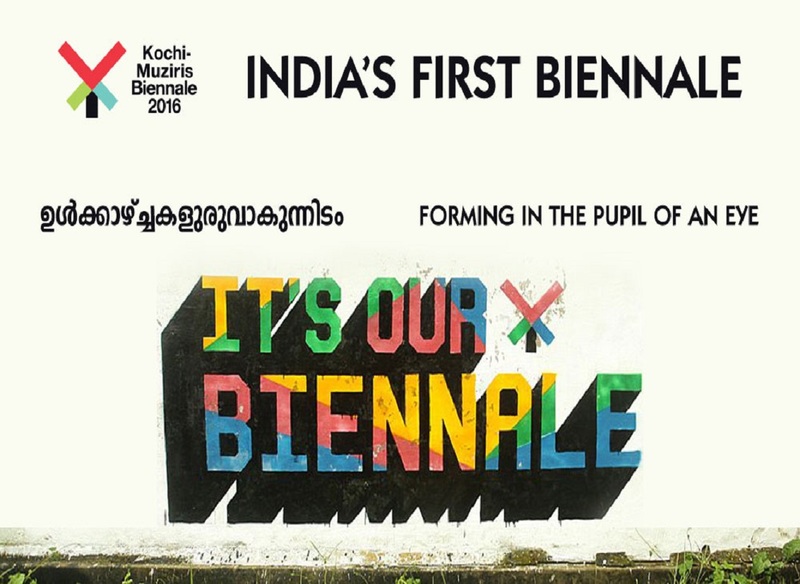 Titled ‘forming in the pupil of an eye’, Biennale will run for 108 days from 12th December, 2016.The Biennale’s main exhibition is supported by an ancillary programme of seminars, talks, the Students’ Biennale, the Art By Children exhibition, film screenings,workshops and music sessions across the locations in Fort Kochi-Ernakulam. Kochi-Muziris Biennale 2016 will feature works by poets,visual artists, performance professionals and musicians from diverse artistic and cultural traditions.